Are you feeling stressed about your struggle to become pregnant? Is your body clock ticking loudly making you feel like time is running out? Do you feel your life is ‘on hold’ until you become pregnant? Do you see a new mother with her new baby and wish that were you? Are you feeling overwhelmed with the fertility treatment options in front of you? Do you feel like you have no one to speak to? If you have answered ‘YES’ to any of these questions then The Fertile Body Method can assist you on your journey. This is a stand alone treatment or can be combined with Reflexology. It utilizes visualization and relaxation techniques to prepare your mind and body for conception. It is important to look after your mind as well as your body on your fertility journey. 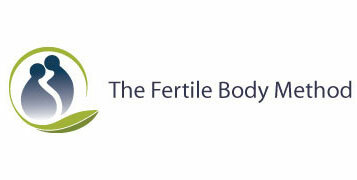 I incorporate the use of the Fertile Body Method to help you create healthy goals for fertility as well as balancing the body and mind. Relaxation techniques will be used and self help tools will be shown to you to help you along the way. How can this help my fertility? If you would like to discuss further please contact me and I will be happy to talk you through the treatment.